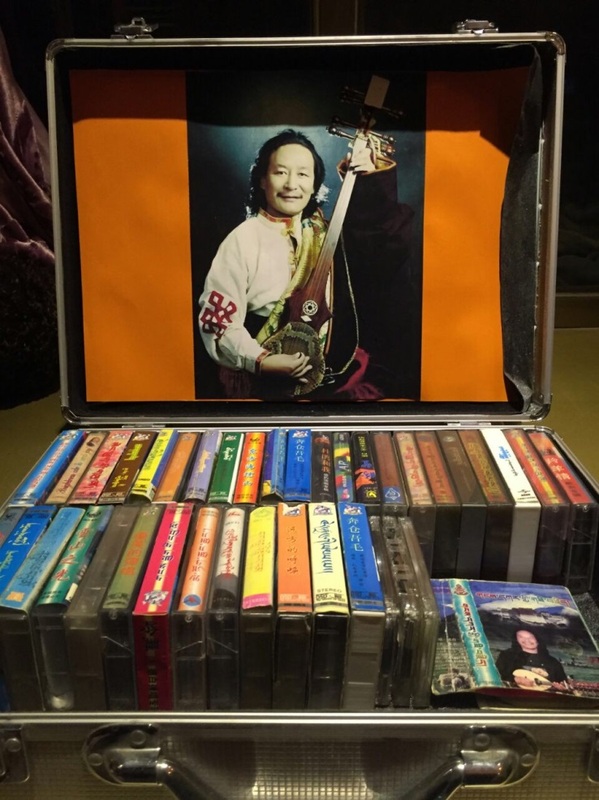 Chödpa Kyab’s collection of Dubhe’s musical recordings. Pictures provided by Chödpa Kyab, 6 September 2016. Dubhe, an immensely influential and highly esteemed Tibetan singer, passed away on 27February 2016 at the age of forty-nine. On account of his melodious voice and extraordinary capacity to use it to “sing” Tibet he is affectionately known as “The Blue Cuckoo of the Snowland” (gangs ljongs khu byug snyon mo). In his uplifting Dunglen, Tibetan guitar songs, Dubhe blends his unique voice with memorable tunes, poetic eloquence, heightened political awareness and a deep concern for his people. Many Tibetans are enthralled by his voice andwould recognise it instantly. Yet, far fewer are familiar with his life story and the forces that forged him into a Tibetan national hero. As yet there are no detailed written or oral biographies of Dubhe and his life story remains scattered in a variety of narrative fragments. This talk will present some key aspects of his life through the exploration of a short proverb-laden recitation that contains significant biographical material. By supplementing this distilled and eloquent oral composition with songs, poems and other sources the talk will reflect upon the contemporary socio-political conditions and the popular reception of Dubhe’s art. In the process, it will also address problems of biography by revealing how someone’s life story can be related in small fragments, with a single tiny piece disclosing potentially substantial information about a broader life.